Last month, THQ Inc. announced fans will have the opportunity to select the cover athlete for UFC Undisputed 3. By visiting HERE between now and 12PM PT on September 30th, fanboys can choose from one of five current UFC champions to grace the game’s box. With the polls officially opened, it’s time to apply the full-court press for your votes. THQ has made it clear that every vote counts because all five candidates are deserving to grace this game’s cover. 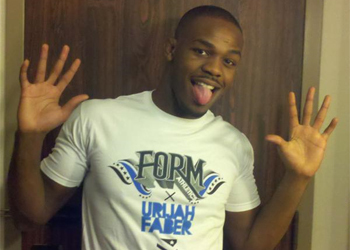 Lightweight heavyweight champ Jon Jones’ (Pictured) promo is the last one to hit the Internet. “Bones” defends his crown Saturday against Quinton “Rampage” Jackson at UFC 135.